From Oct. 16 through 19, highs in North Texas reached the 90s. During the past four days highs at D/FW International Airport reached the 80s. Wednesday's high of 86 degrees was 11 degrees higher than the normal high of 75 for this time of year. So why has it been so warm? The jet stream, which is a fast moving current of air 6 to 9 miles above the earth's surface, separating different air masses. 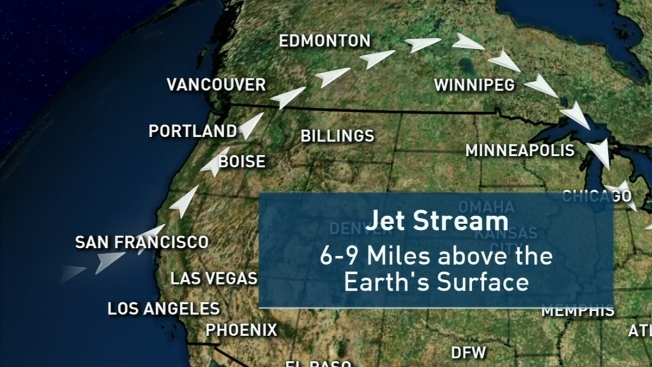 Right now, a ridge in the jet stream is positioned in Canada. With the jet stream that far north, the heat continues in central and southwestern part of the country. Highs in Phoenix could reach 100 Thursday afternoon. On the flip side, a trough in the jet stream has allowed for much colder air to hit the northeast. Parts of Upstate New York and Pennsylvania saw their first snowfall of the season during the last two days.